This is a new attraction to be operated on Ship Cruises. 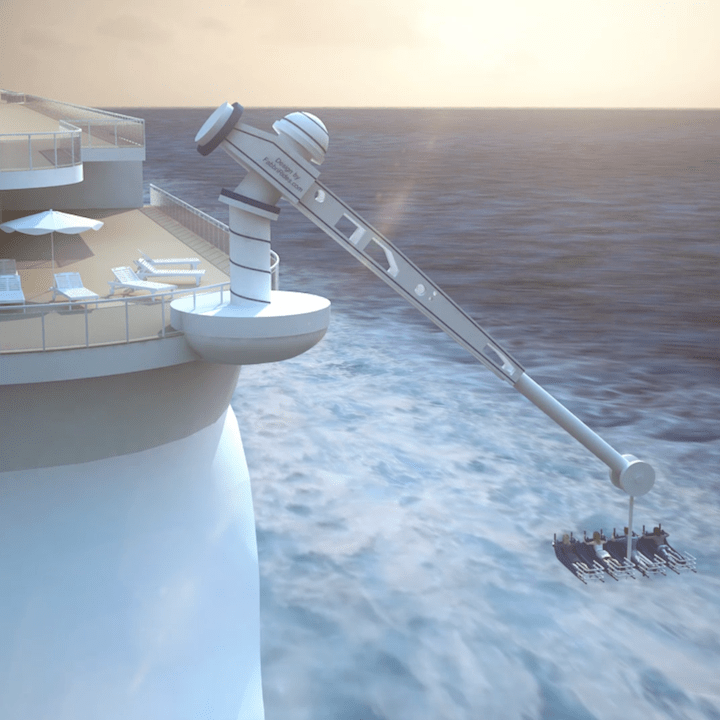 This new invention allow to get a spectacular ride to be easy installed on ship cruises with a strong impact. The video-clip show the ride in action. All drive system are installed on board acting to a special inclinated bearing. 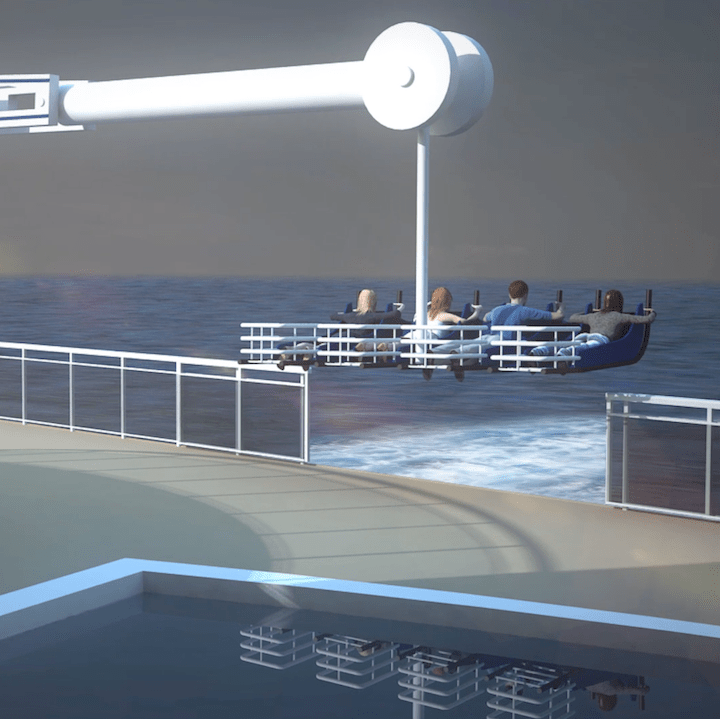 Passengers will be horizontally with special restain system.